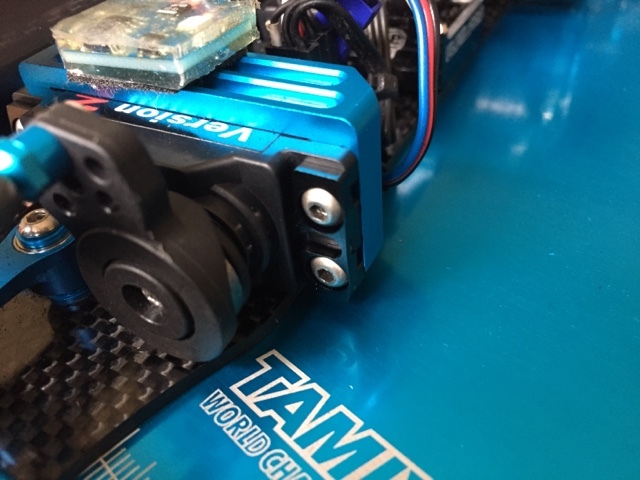 Modern TC design has had a few trends recently, and one of those is the floating servo mount. 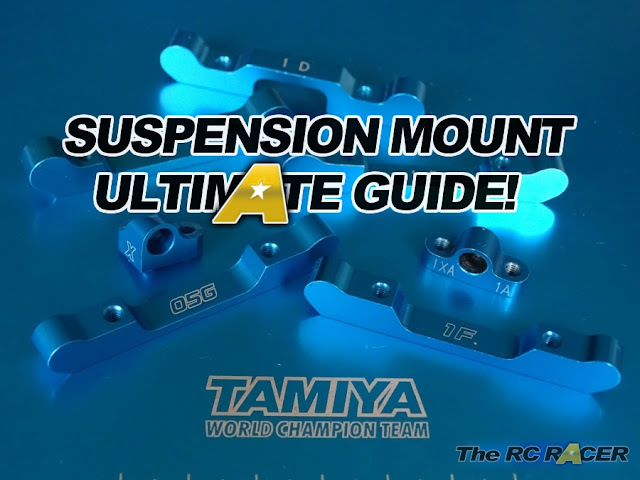 Whilst they help give the chassis more even left and right flex characteristics, they are also more susceptible to moving on a large impact. 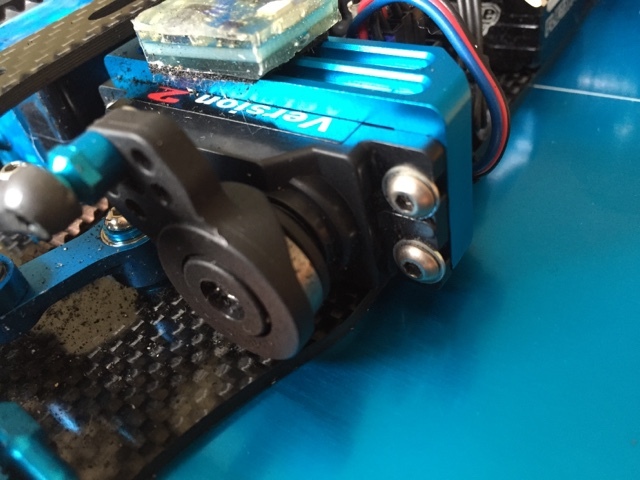 Normally servos are held in with screws and use washers to gain more surface area to hold the servo in the mount. 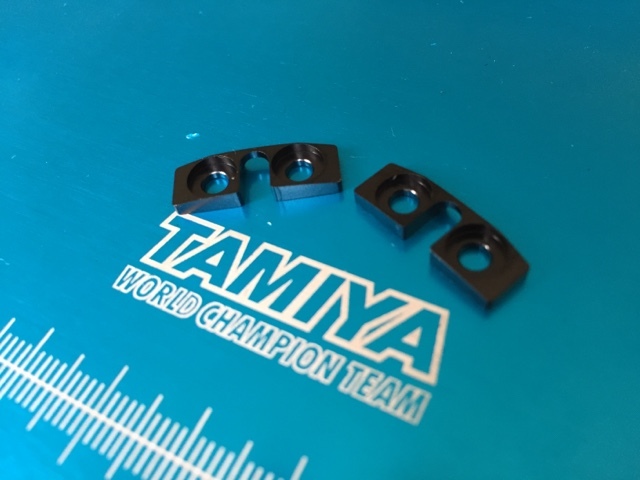 The Tamiya aluminium servo mount plates replace the washers and provide a lot more surface area to hold the servo firmly in the mount. 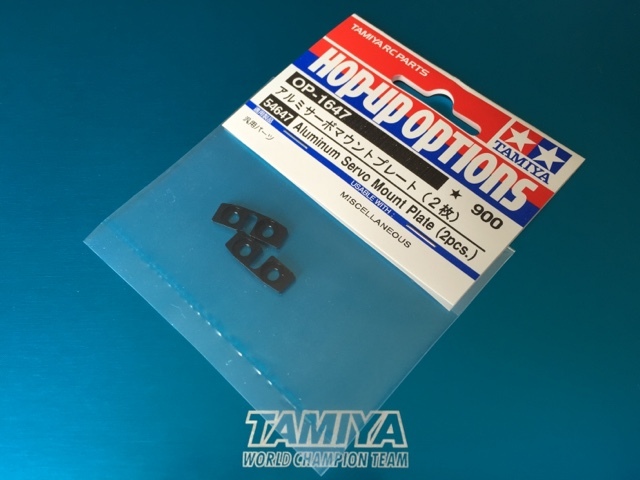 The pack contains the left and right servo plates and they act as a replacement for the washers. Solid, light and helpful to keep the servo even more secure in the car. The plates are really well machined and you only use the button head screws as they are a snug fit, washers will not fit and are not needed.